Michael Lilborn Williams’ career as a Bible teacher spans four decades. In the 1980’s, Mike started growing rapidly in notoriety in the Word of Faith movement. As he traveled around the world he appeared with such names as Benny Hinn and Joel Osteen’s late father John at Lakewood Church in Houston, Texas. Benny Hinn at one time held that Mike Williams was the best Bible teacher he ever heard. 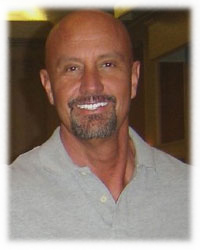 Originally a native of East Tennessee, Mike is now a resident of Houston, Texas. He continues to teach in Canada and the United States and has a weekly program listened to in over 187 countries around the globe.